Welcome to October: I made soup and fresh bread for dinner last night, even though it was 85 degrees out. I like to pretend the seasons are changing, even here on the surface of the sun. Several of my friends have begun discussing holiday shopping, or—more specifically—how to shop for older teens, when there may be little they need and/or money is tight. At this point, history teaches me that my readers will separate into three distinct groups. First, 1) some of you will staunchly insist it’s too early to be talking holiday shopping at all, 2) some of you will feel smug and superior for having this all already figured out (and maybe even already purchased), and 3) the rest of you will look uncomfortable and slightly panicked. That’s okay. Whether you’re an early shopper or a last-minute one, I think we can all agree that shopping for “big kids” is hard. tech accessories—spare cords, power bricks, emergency chargers, screen protectors, extra earbuds, etc. pens, pencils, highlighters, crazy glue, duct tape (always duct tape! ), small scissors, etc. 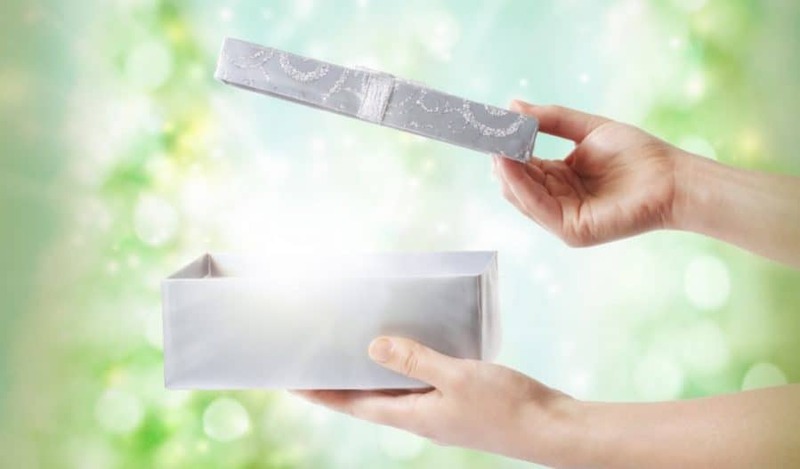 It’s not always going to be the right time to do a big gift, whether due to finances or need or your own particular kid’s behavior, but the times when it can be done are always fun. In our house, on a year you get a biggie, you’re not going to get much else (maybe I’ll individually wrap your socks to make the packages under the tree seem more even), but it’s understood that these are Big Deal presents. And while small kids seem to be all about quantity, teens seem—dare I say it out loud?—especially appreciative of the magnitude of these sorts of gifts. Obviously this is going to vary a lot by family and I don’t think I’m offering anything you can’t think of on your own, but for us these gifts have included: a new computer, new gaming system, cell phone upgrade, a musical instrument, or new bedroom furniture. I do know people who have given their teens cars and that’s not something we’ve done, but you’re the best judge of what works for your family. My only suggestion with any big-ticket gift is the directive in the Parenting Manual that it be preceded by a months-long redirection campaign, wherein you either subtly (“Oh, I don’t know, money is pretty tight this year”) or overtly (“Just keep dreaming about us buying you that, kiddo”) make it clear that whatever item they’re dying to receive isn’t going to be forthcoming. Then please package said items in such a way that they’re not easily guessed, too (car key in a giant box, computer inside the box the dog bed came in, etc.). Evil? Of course. Part of the price your teen should pay for receiving something so great? Absolutely. In the grand scheme of what most of us end up buying for our teens, I firmly believe that even “boring” stuff can be handled in a way that makes it feel special. Dorm stuff. I think I mentioned before that last Christmas and then for my oldest’s birthday, she received a bunch of stuff she’d need this year for her dorm. Oh, did I catch flack for that stick vacuum—I don’t even want this and This is the worst gift ever, seriously—and sure, if I gave her that and nothing else, that would’ve been mean, but we laugh about it now, because she uses it all the time. Similarly, of course I was going to buy her some bedding no matter what, but I had a duvet cover custom made for her (and am now doing the same for my son). Duffle bags? Kinda boring, but necessary. Fun luggage tags? Better. A really high-quality water bottle in your favorite color or a Tervis tumbler with a fun pattern? Nice! Having a dozen different packages to open when your mom has always stuck to just a few gifts? Also fun. This year my son will be showered in dorm needs, and at the same time, my daughter has now been in the dorm long enough to know what we missed and she now wants, which means I can get her a few more items to round out her living space. As they get older and move out into apartments (*gulp*), there will be no shortage of opportunities to help stock their new digs. Gift cards. Yeah, yeah, yeah—impersonal, blah blah blah. Know what? Come closer, I’m going to tell you a secret: teens like spending someone else’s money. Both of my kids like food gift cards (and now that my daughter’s settled into a routine at school, I know exactly where she’s apt to eat); my oldest loves gift cards to shop for clothes and my youngest loves getting his gaming geek on either via our local shop, the big video game chain, or online at Steam. Both of them will take your Amazon or Target card offering with genuine gratitude, too. Gift cards always fit and it’s a great response when relatives end up asking what to buy. Clothing. I will buy clothes for the holidays, because they need them, anyway, and that’s what moms do. But! It’s not like I don’t buy them clothes throughout the year if they need them, of course (“Oh, you outgrew all your pants? Too bad!”), so I try to keep the holiday offerings fun. Crazy socks are a family tradition, but if one of the kids needs shirts, for example, it’s going to be a funny shirt for my son or a brand my daughter really loves. And while I’m going to buy new shoes for the kid who needs them no matter what, maybe the holidays means Nintendo Vans instead of whatever’s on sale at Target. That sort of thing. Books. We’re all avid readers, and of course we use our local library and often read things on our electronic devices, but there’s still books I know my teens would rather have in their hands. Favorite authors, the new book in a series, comprehensive guides to areas of interest, particularly beautiful manga—these are all the sorts of things I’m apt to splurge on for them (and which I know they’ll love but might not buy for themselves). And with adult coloring books all the rage, what a nice idea for the young adult who could use a little more zen in their lives. Toys. Yes, they’re grown-ups now, or nearly so. Don’t stop buying your kids toys just because they’re grown. (Heck, I still buy toys for my husband.) Don’t buy a toy just for the sake of buying one, of course, but there are always going to be items you’ll see and think, “Oh, they would love that,” and when that happens, buy it. I still buy themed LEGO sets for my kids (okay, and my husband). Certain desk toys (particularly fidget-y ones) are always fun. Nerf-type items can make a person either popular or notorious in a dorm (er, I hear). There is never a time when ThinkGeek doesn’t have something wondrous for my nerdlings. And I will never top the year we gave my daughter every existing deck of Cards Against Humanity and the custom case to store them in. A high-end version of a “regular” thing. This will vary by kid/interest, but would include something like a really fancy backpack or sleeping bag, designer sunglasses, good headphones, more adult school supplies (a leather portfolio, for example), etc. I don’t know what your kid wants, but I bet you do. Experience. I’m seeing more and more friends do a “family gift” of a trip somewhere, which I think is a great idea, if you can swing it. On a smaller scale, you can snag concert or even movie tickets, if that’s something your teen will love, or amusement park tickets, or figure out something they’ve always wanted to try. Take a stroll through Groupon and see what’s available; one year we went to a pottery class as a family, and it was a ridiculous amount of fun even though (maybe because?) we were all terrible at it. This past summer we did one of those “escape the room” places, which was also a blast. My fearless oldest would love to try skydiving. One of these days I swear I’m going to get my youngest over to Dragon Con. Use your imagination and the mighty Google and you’ll find something that works. Make it personal. If you’re a crafty type, awesome. I am not, but I do know how to use Etsy to find unique items. Whether it’s something with their name (especially if you have a child with an unusual name) or otherwise particular to their interests/joy, if you can imagine it, you can probably find it on Etsy, and your kid will probably love it. Gift giving (and buying) shouldn’t be stressful; it should be fun! Gifts given with thought and care are more important than what they cost. (We had years where everything I gave my kids came from Goodwill, and I don’t think it mattered.) View this time as an opportunity to do something nice for the people you love rather than forced drudgery and overspending, and you’ll be fine. Even with teens. I promise.